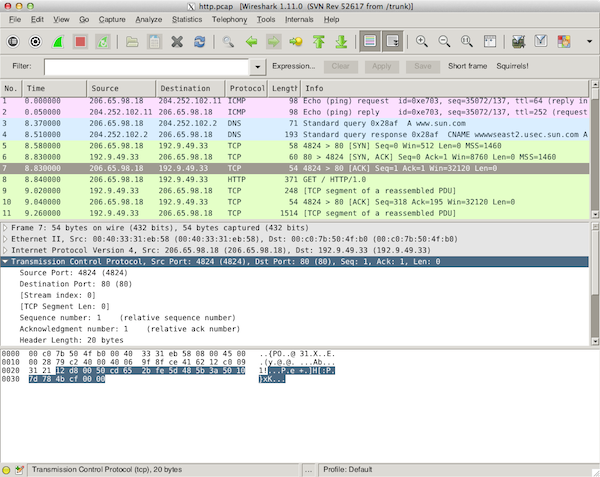 Today I released the next development version of Wireshark, 1.11.0. This marks a major change in the direction of the project. We’re switching our user interface library from GTK+ to Qt. Both libraries make it easy for developers write applications that will run on different platforms without having to rewrite a lot of code. 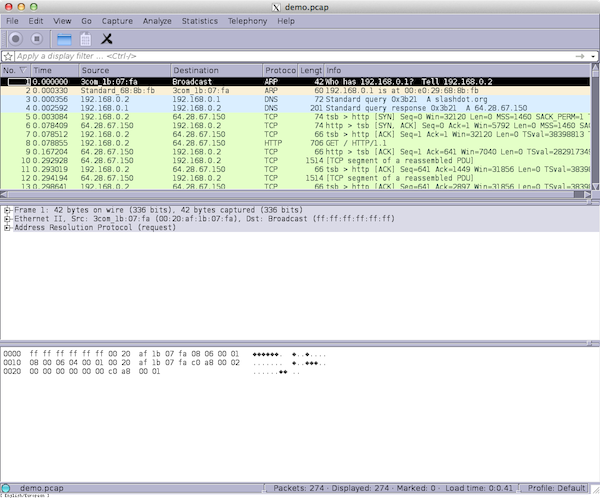 GTK+ has had a huge impact on the way Wireshark looks and feels and on its popularity but it doesn’t cover our supported platforms as effectively as it should and the situation is getting worse as time goes on. 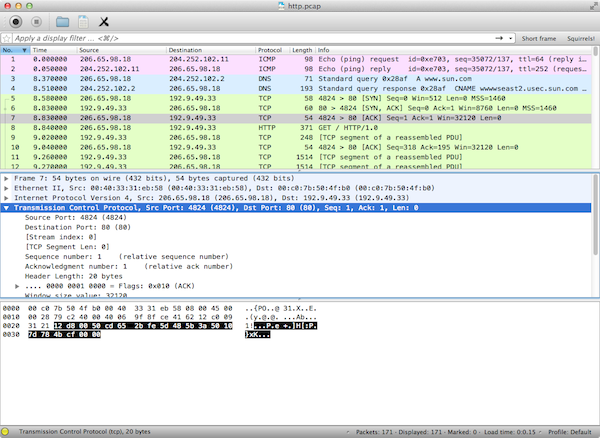 Wireshark’s job is to show you what’s happening on your network. If it can’t run on your system then it’s not doing that job. If you’re using Windows, Mac OS X, or Linux Mint we need to support Windows, Mac OS X, and Linux Mint. If you’re using an iPad or a Galaxy Note we need to give you a long, hard, nonplussed stare and think about supporting IOS and Android at some point. It looked like that on Linux and Solaris. It didn’t look like that anywhere else because those were the only two platforms we supported. I chose GTK+ for the user interface toolkit because it made the most sense. Compared to the options available at the time it had a number of advantages. It was small, light, easy to work with, had an active development team, and had a compatible license. A short time later we added support for Windows. GTK+ had some initial compatibility issues on Windows but it has gotten better over time. If you’re a power user you should probably keep using the GTK+ flavor for the time being. You should also test the Qt flavor from time to time to see how your workflow will change. Both are installed by default on Windows and Linux. If you’re running OS X you should use the Qt flavor. For common tasks it should have a better workflow. Again, if it doesn’t we aren’t doing our job. If you’re developing a new feature using GTK+ you should stop. You’re very likely wasting your time. If you would like to help with the migration grab the code and start developing. Everything under the “File” and “Edit” menus. You can capture, filter, and inspect traffic. You can view TCP stream graphs. Everything else. 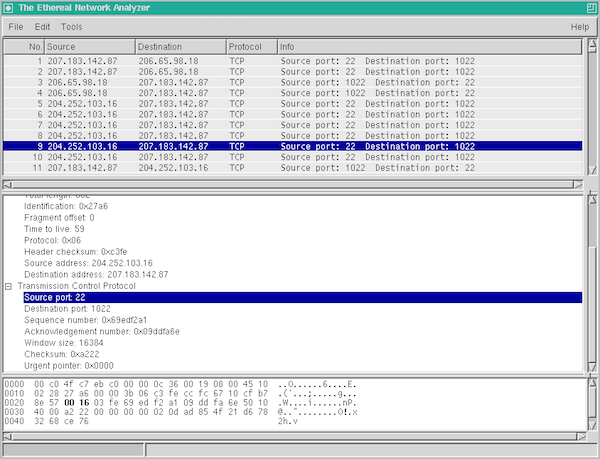 No capture options, I/O graphs, flow graphs, VoIP analysis, etc. We still have a lot of work to do. Switching to Qt is a long and arduous process but I’m excited about what the future holds. P.S. Solaris is still supported.